Across the Colchester area there are dozens of people who are doing amazing work with their local Primary School supporting pupils and staff, helping with assemblies and lessons, and contributing to other aspects of school life. We believe this kind of involvement comes best from the local community and the local church. That’s why our vision is not to deliver primary schools work, but to encourage, resource and support those that are, as well as those that would like to serve their schools this way. Our primary schools team of Susan and Gill volunteer their time to help with networking and training events, offer advice on resources and projects for local primary schools and train and equip groups who want to run prayer spaces in their school. The Primary Schools Network is a wide group of people working in primary schools as staff or visitors who keep in touch for mutual support, exchange of ideas and sharing of resources. Gatherings are organised as required and we also publish an occasional news update by email. If you would like to receive this please click on the regular news link below. 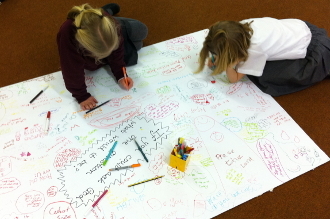 Would you like to run a prayer space in your local primary school? The CYO team is able to offer training and advice on how to get started and we have a wide range of tried and tested prayer activities suitable for use in both community and church primary schools that are available to borrow. It would be great to do this every Autumn, an annual dedicated time for reflection for the children and staff. If children through their time at Primary had this opportunity 7 times before they entered secondary school I think it would make a big difference to their well-being and sense of self in the world.